If My Nintendo was a member of a typical social group in a sitcom, it'd be the one that was recast because the original actor wanted too much money. It's just like the charming Club Nintendo that we all knew well, but it's not the same, and arguably not as good. These rewards were only originally added less than a week ago, so we have a lingering suspicion that the deals were wrong in the first place and have been subtly corrected. In any case, there you have it. Our thanks to all that sent this in. I want that earthbound discount in Europe! Considering that the coins are kind of useless overall, I'd be more annoyed that I got the Xenoblade deal on Friday at the higher cost, but I suspect I'll have nothing to spend the rest I have on anyway, so oh well. Honestly, this would've been a good deal for me but, I got Xenoblade right when they put it on the Virtual Console. I'll start thinking twice about buying games if I suspect I can get a My Nintendo deal out of it. Honestly, this would've been a good deal for me but I got Xenoblade right when they put it on the Virtual Console. I've got 210 gold coins and I'm pretty sure they're going to go to waste. Been sitting there now for months. Maybe they're just starting to realise how bad the offers are, and are trying to make them better. @DragonEleven they have known from the start how awful these deals are - that's why they are offering them. Club Nintendo must have been too much for their bottom line. 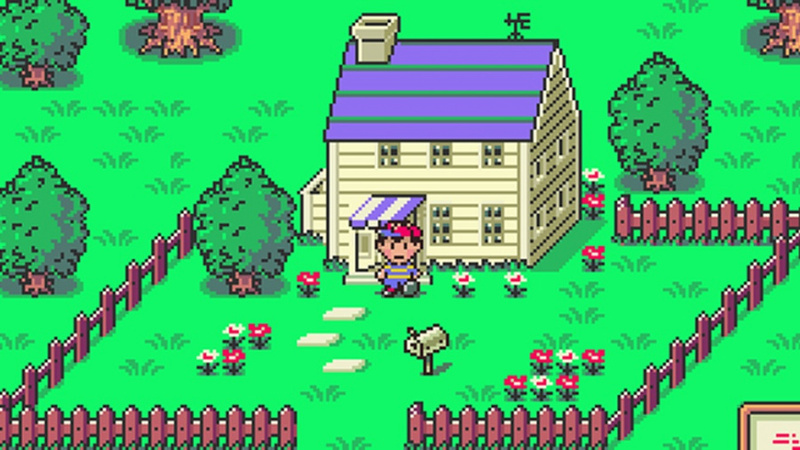 Got Earthbound for free from Club Nintendo. Here on the earth I am also bound by my previous purchases of all the offered rewards at another time in life, making all these offers redundant. The new Nintendo Rewards program hasn't won over anyone in any region, I think. It's just bad, compared to what used to be a great service. I don't know who is behind the changes in Nintendo's support and courting of the NA fanbase over the last couple of years, but the person(s) responsible should be fired immediately. They've taken my loyalty and wiped there @ss with it. If it's corporate, then double screw them. And no this isn't just about these discounts or the pathetic 'MyNintendo'... it's the void where fun promotions, swag, deals and NA specific fun marketing and marketing events used to exist. "It's just like the charming Club Nintendo that we all knew well, but it's not the same, and arguably not as good." You are being extraordinarily generous with your evaluation, NL. Love and My Nintendo cant be put in the same sentence. Remember when Club Nintendo was sold out on digital copies of EarthBound? Hopefully nothing like that happens with My Nintendo. Just checked up my account for the first time in months, I lost almost 500 Miitomo and Silver points a week ago through expiration! @DiscoGentleman Absolutely delighted. Couldn't happen to a nicer person. All you ever do is whinge and troll on this website. @SLIGEACH_EIRE are you talking about yourself? @manu0 Can you not comprehend English? Well it isn't your first language. When you are using as much as 70 gold coins, why isn't the discount like 75% or, even better, a free game? Nintendo didn't think this thing through. I currently have received far more from this with just the free platinum stuff than my gold, which will likely expire with me getting nothing at all with gold. Poor very poor the whole MyNintendo, hopefully it'll get better when the NS is released. I want MyNintendo rewards to be simplified, to me, it is cumbersome. My Nintendo has been a massive disappointment so far. 20-30% discounts on Super Nintendo games is the best they can offer? Seriously? Are we sure this service is from the same company that made Club Nintendo? I got several free games, an awesome Mario statue, pins, playing cards, posters and plenty more awesome collectibles from Club Nintendo. Since My Nintendo launched, I've gotten Metroid Fusion, Zelda Picross and a 3DS theme. That's it. Very disappointed. 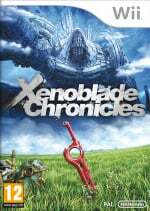 That discount on Xenoblade Chronicles is slightly tempting, but...eh. Gold points for discounts... My nintendo is absolutely horrible. My Nintendo is pretty awful, checking to see what they have is pointless. Club Nintendo actually offered rewards for purchases but My Nintendo is really more of an insult. they offer slight discounts as a reward? I love Nintendo but that's pretty much the industry stand and not a reward. My theory is that very shortly theres going to have to be a while lot of switch gear on my nintendo so nintendo is busy porting all the vc games to switch, then youll want thise coins. "30 Gold Points for a 30% discount (was 40 Gold Points)"
Do I get a frying pan when I order now? I'm in Japan, so I already got earthbound, and at a bigger discount, without this stupid program. Discounts for games I already have yet again.